Last night, I started working on my agent submissions list for the next novel. I was up a long time, just pulling together a list of names. Well, a tidy little pile of names. “List” is probably not the right word for this. 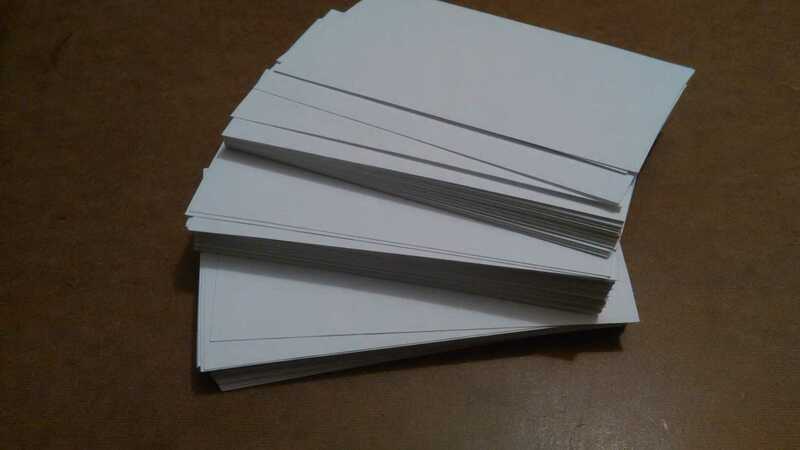 I have index cards. Lots and lots of index cards. And it’s probably not a complete list… er… pile, right now. 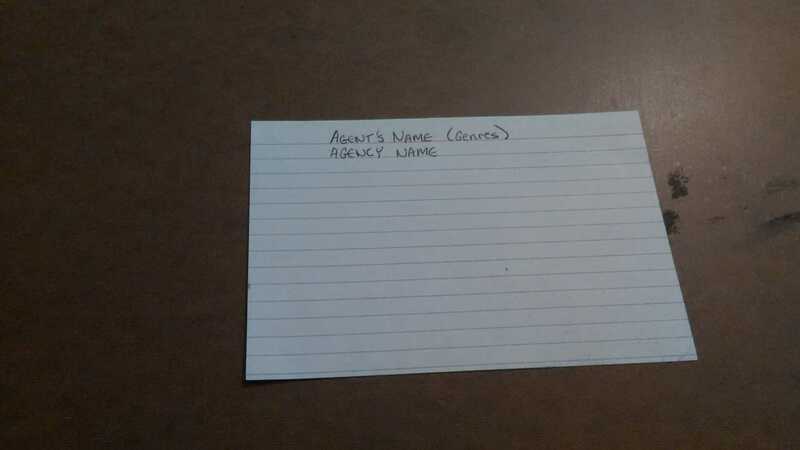 Agent’s name–One Agent Per card. 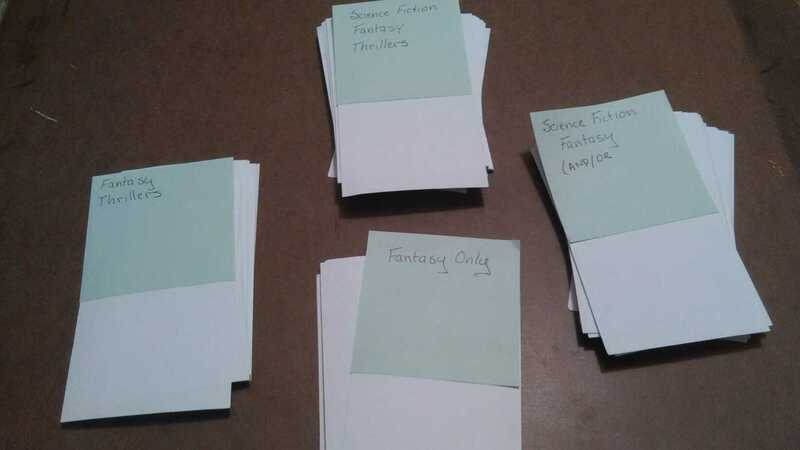 Genres–by which I mean, the genres they represent that I actually write actual full-length fiction in. It’s NOT a list of everything they represent. And–at this exact moment–I’m focusing on #3 more than anything else. The goal is to find the agent who is the best fit for me, so I’m looking for the person who represents the highest percentage of my hard drive. There’s no separate pile for Sci Fi, and Thrillers, but not Fantasy. They’re in that top pile. Personal priorities, but I do think most of my stuff falls on the Sci-Fi side of that line. So, they’re weighted accordingly. So, there you go. 100+ names triaged into manageable groups. Here and there–I’m going to admit this up front–there are a few cards that are going to get bumped up a group or two. Most of them are people I’ve already had contact with and liked, and can see myself working well with. The teeny-tiny, fraction of one-percent are people who represent my favorite authors. So, yes, I’m weighting these on emotional considerations, also. Not unduly so, I hope. So, what about you? Any strategies for organizing you’d like to share? I’m not that organized. I will probably Indie publish at first but I would like to be a hybrid author, so will note any good tips or advice.